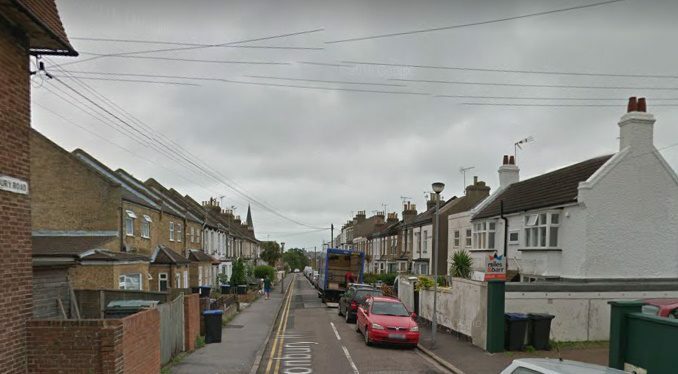 A man has been assaulted after a couple forced their way into a Ramsgate flat and demanded drugs. The aggravated burglary is reported to have taken place at the basement flat in Cannonbury Road at 10pm on Friday 13 July. Detective Sergeant Heidi Collins said: “A man and a woman knocked on the door of the flat and then barged in and demanded drugs. The offenders left and headed towards Florence Road. Following further enquiries and new information coming to light, officers are have issued a new description of the woman they would like to identify. She is described as white with dark hair and was wearing a dark baseball cap, a jacket with Kappa written on the arm, and a dark vest top underneath. The man was described as white, tanned, of a thin build and about 5ft 9in tall with a gaunt face and a goatee beard. He was wearing a dirty, dark grey tracksuit and a dark grey hooded top with the hood up. Anyone who recognises the descriptions or who saw anyone acting suspiciously in the area is asked to phone Kent Police on 01843 222289 quoting reference number ZY/40615/18.